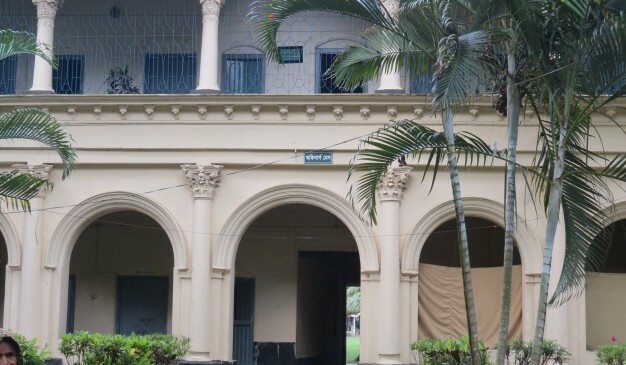 Nawabganj is one of the prominent regions in Dhaka containing a large number of old buildings and Zamindar Bari, Amongst the archaeologically or historically famous buildings the most well-known ones are Hasnabad Church, Braja Niketon,the Baghmara Moth, the Bakshanagar Church and the residence of Khelaram. But there are also several lesser known old buildings, mostly set up by merchants lived that region previous years, who were traders of various kinds of produces, including salt. Over time, many of these buildings have fallen prey to locally influential land grabbers. Most of these buildings are in a state of ruins, desperately requiring due attention. Some buildings have been acquired by the Ansar & Village Defense Party (VDP), a paramilitary force of the government, and the authorities have renovated some of these structures and maintain them fairly well. 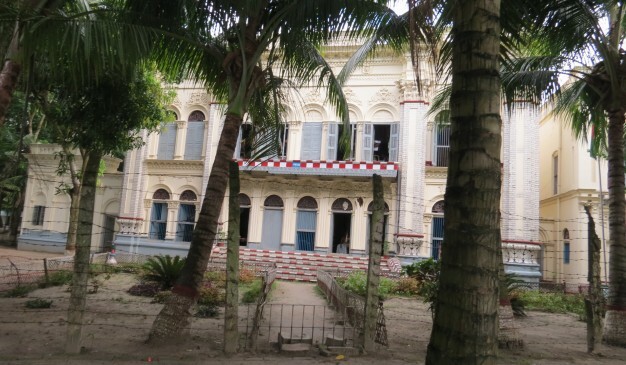 It includes the House of Harihar Ghosh, the Ansar Commandant’s current office which is now known as Nawabganj Ansar Camp (Painna Bari & Teli Bari), Loknath Saha’s House and a few more houses. It’s just few steps away from Kolakupa Bus stop. It’s southward from the Bus stop. One can reach there by foot or riding on a Rickshaw from Kolakupa Bus stand. Once you are determined to get there at Nawabganj, then it’s not something to plan for a long journey from Gulistan or Sayedabad Bus stop. Just take a Bus moving towards Nawabgaj or Dohar area, You will find yourself reach there within 45-60 minutes after departing, if the traffics is in your favor. Jamuna Relax are very popular public buses available all the day long from Gulistan Bus stop. 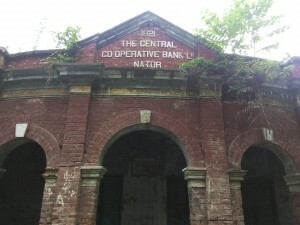 This is one of the few places in Nawabganj Upazila belonging enormous beauty as a classical architecture. 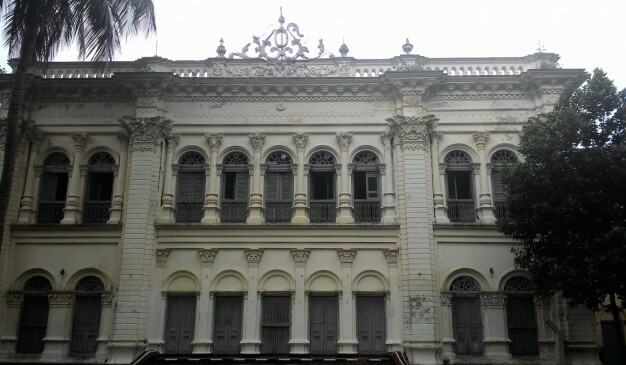 This palatial house is a very attractive location for tourist if they could get a permission to enter into this old house. 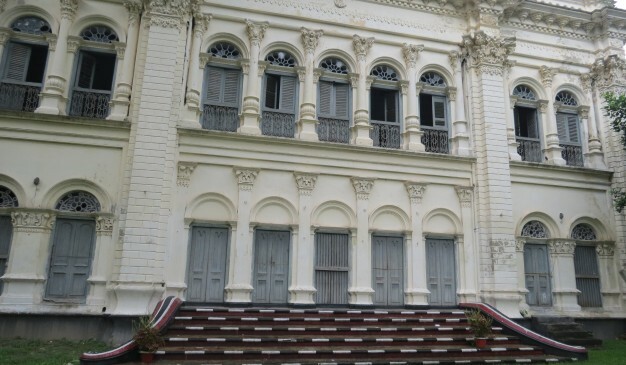 Shoshi Lodge (শশী লজ) is located at the center of Mymensingh city which is also known as the Residential Palace of Moharaja Shoshi Kanto Acharya (মহারাজা শশীকান্ত আচার্য). 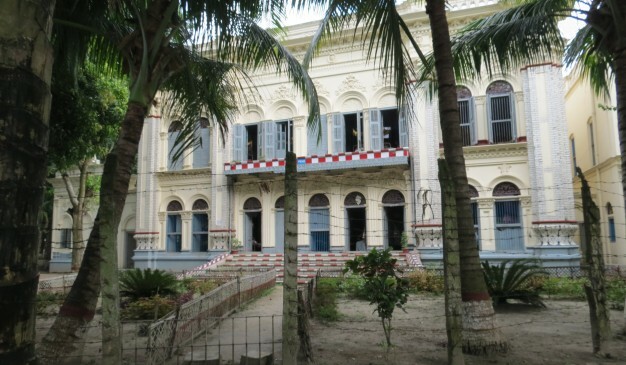 This palace is very close to the river Brahmaputra which is being used as Women Teachers Training College from the year 1952. According to the history, most of the rulers from Zamindar family have adopted babies in different era and those adopted child ruled the area later. For example Gourikanta(গৌরীকান্ত) was adopted by Roghunondon(রঘুনন্দন). Son of Gourikanta was Shashikanta(শশীকান্ত) and his wife adopted Surjokanta (সূর্য্যকান্ত) as she was childless. 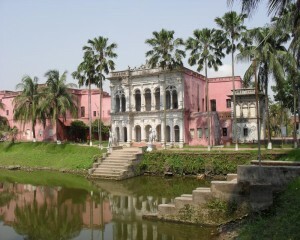 Later, Surjokanto became the prominent Zamindar of Mymensingh district. People used to call him as Moharaja(মহারাজা). Moharaja Surjokanto Acharya was the Zamindar in Mymensingh region for long 41 years. During the reign of his Zamindari he did so many work for social welfare and made a remarkable change in infrastructural development. He started to build an unique two storied building on an area of nine acre at the end of nineteenth century. Childless Zamindar Surjokanto named after this building in the name of his adopted son Shoshi Kanto Acharya. 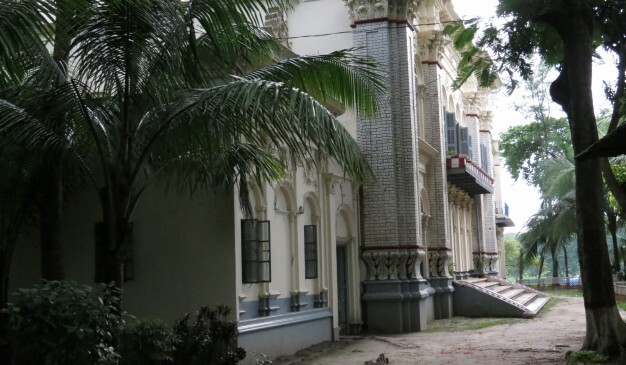 After completion of construction this building was extensively damaged by a destructive earth quake on the year 1897. Zamindar Surjokanto was immensely worried at this great loss. 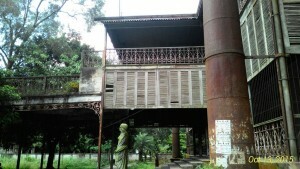 Later Zamindar Shoshi Kanto Acharya re-built this building with many additional features in the year 1905 and did more renovation work in 1911. 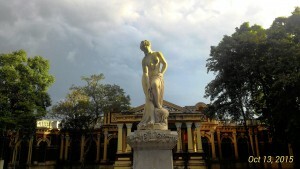 This unique classical architecture and its surrounding will certainly attract a traveler to explore this place recurrently.